Elmet Farmhouse is a holiday cottage like no other – and a truly special place. 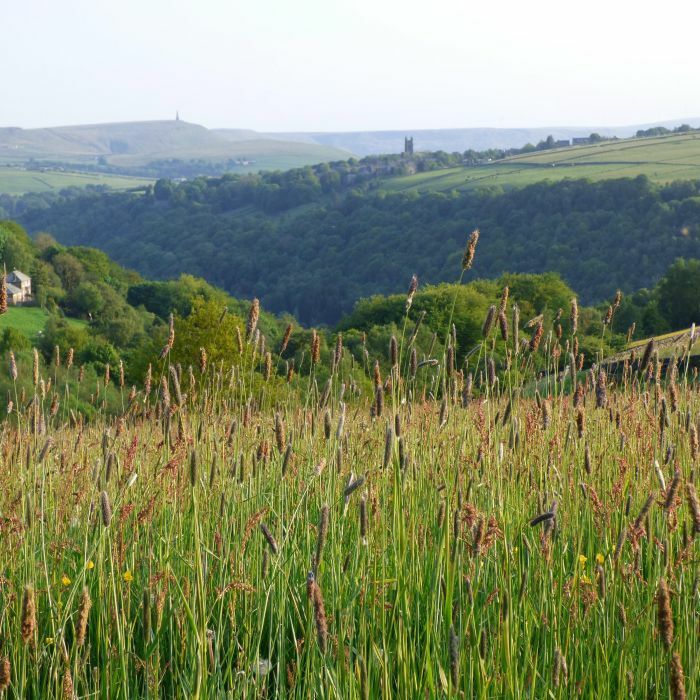 Set in an idyllic location in the hilltop village of Pecket Well, it has breathtaking panoramic views across the steep wooded valley of Hardcastle Crags towards the historic village of Heptonstall and the monument of Stoodley Pike. Nearby Hebden Bridge is a thoroughly delightful place, renowned for its quirky independent shops and relaxed creative vibe. Hughes’s book Remains of Elmet. His wife, the American poet Sylvia Plath, is buried in Heptonstall churchyard. 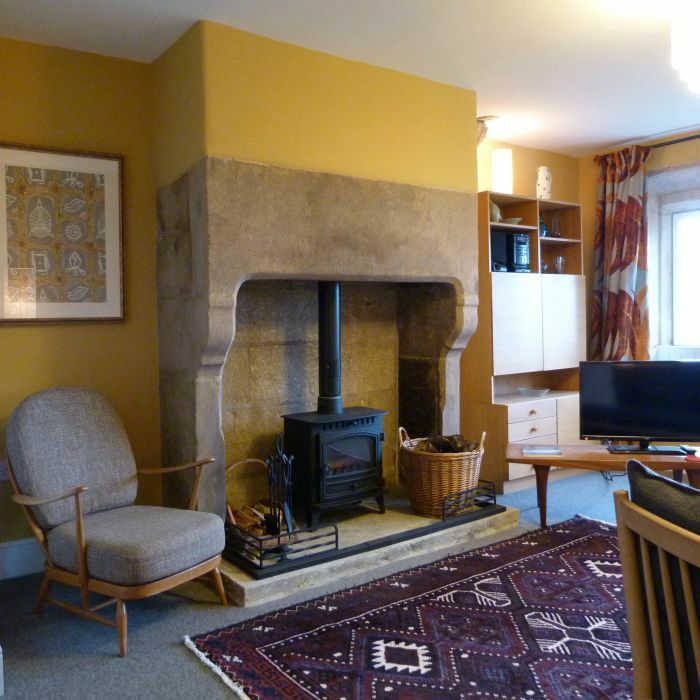 you cross the threshold and see the huge carved stone fireplace andwood-burning stove, you know you’re in for a treat. 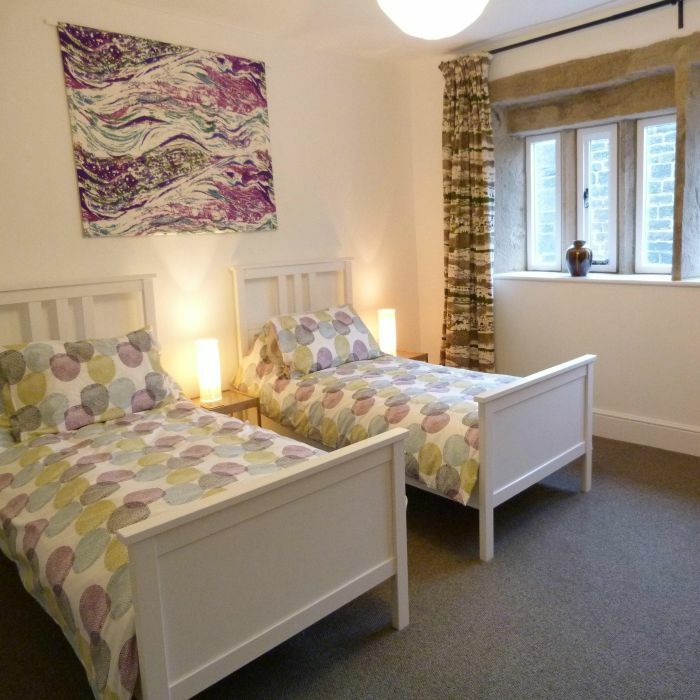 With its lovely stone mullion windows and inviting window seats, Elmet has a wonderful atmosphere and provides a unique holiday haven. Beautifully furnished and imaginatively decorated by design historian Lesley Jackson, Elmet’s interiors are as stunning as the views. Embodying the Danish concept of ‘Hygge’ – cosiness, contentment and well-being - Elmet melds Scandinavian blond wood furniture and striking vintage textiles with exquisite cut-paper lamps, wallpapers and cushions by local designer Hannah Nunn. Surrounded by marvellous countryside with numerous footpaths, bridleways and packhorse tracks in every direction, Elmet Farmhouse is ideal for keen hikers but equally good for gentle towpath walks or riverside strolls. A haven for wildlife, this is a superb area for bird-watching, with herons and dippers on the rivers, owls and woodpeckers in the woods, kestrels and swallows over the hilltop meadows and curlews, lapwings, skylarks and golden plovers up on the moors. Located on the route of the 2014 Tour de France and the 2015 Tour de Yorkshire, with lots of good local mountain biking routes as well, Elmet Farmhouse offers the perfect base for a cycling holiday and has been certified as ‘Yorkshire Cycle Friendly’ by Welcome to Yorkshire. 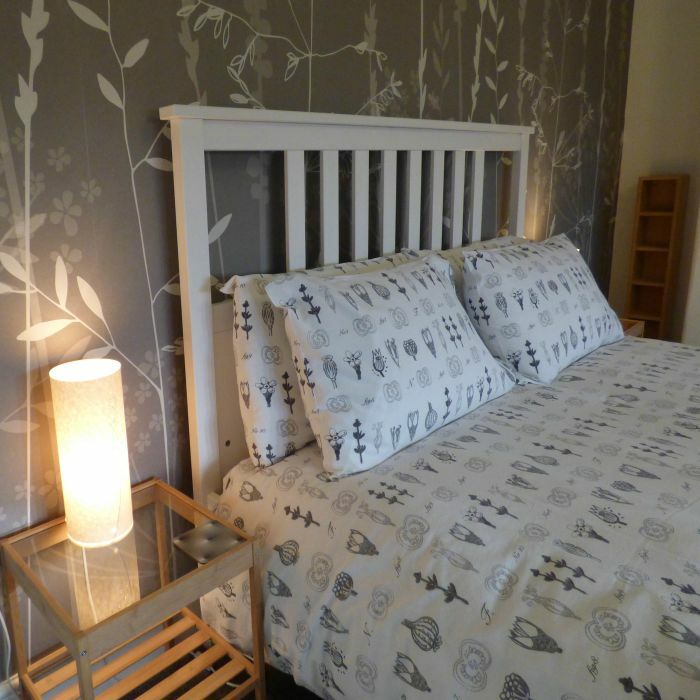 Only 7 miles from Haworth, it provides easy access to Brontë Country and the Yorkshire Dales National Park. 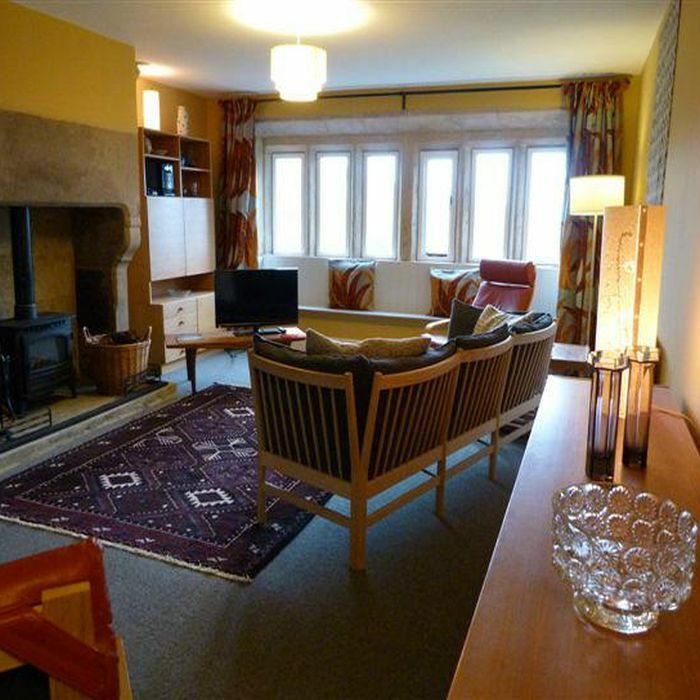 Light and spacious, Elmet farmhouse accommodates 6 people very comfortably, but is cosy for couples or smaller groups. 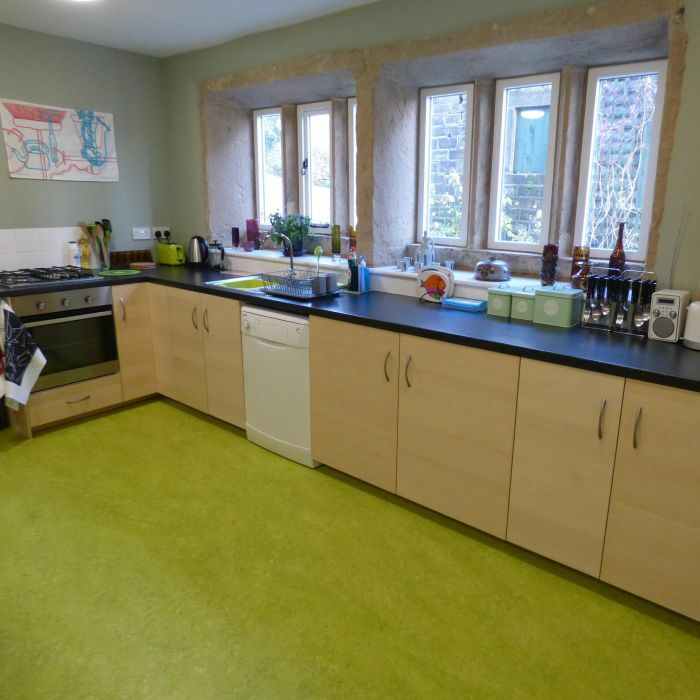 The large lounge and roomy farmhouse kitchen have ample seating and are very well equipped. As well as WiFi, TV, DVD, washing machine and dishwasher, there are copious maps, walks leaflets and vintage games. 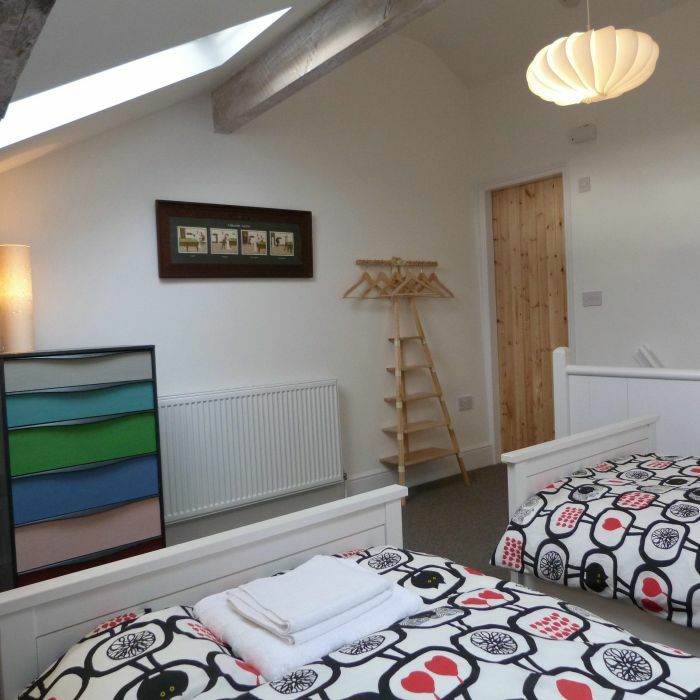 Upstairs are three light airy bedrooms (one double and two twins) with attractive furnishings and bed linen and two bathrooms (one with a bath, both with showers) with toiletries and towels. The pretty cottage garden, overlooking hay meadows and brimming with flowers, is a wonderful place to sit out and enjoy the fabulous views. Pecket Well has a friendly pub within easy walking distance serving home-cooked food and award-winning Timothy Taylor’s beer. Hebden Bridge, just down the hill, has butchers, bakers and designer-makers, as well as numerous cafes and pubs. With its higgledy-piggledy double-decker terraces, riverside paths and canal, it’s a fascinating place to explore. Perched on the hill above is the ancient village of Heptonstall with its ruined 13th century church, handloom weavers’ cottages and octagonal Methodist chapel. It’s got a great Tea Room as well! 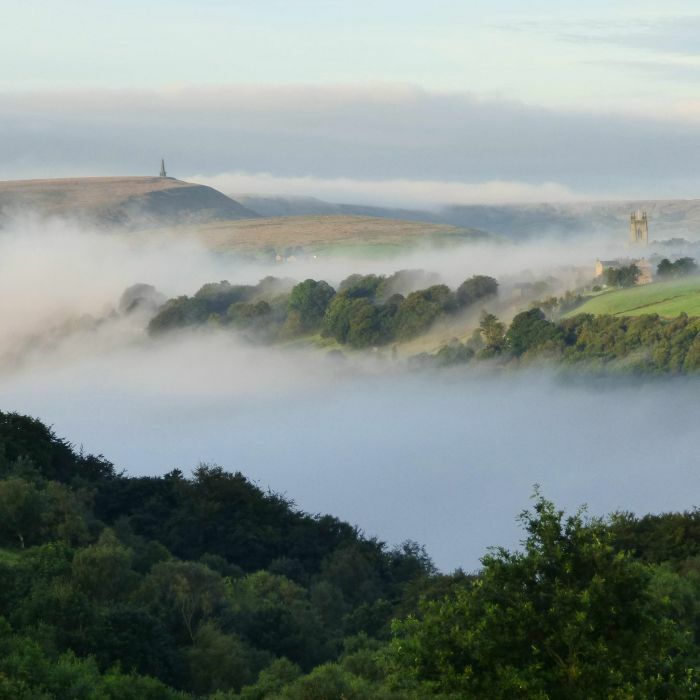 There are lots of other interesting places to visit in Calderdale, such as hidden valleys of Crimsworth Dean and Colden Clough and the intriguing villages of Luddenden and Cragg Vale. Also close by is Halifax with its splendid Victorian market and arcades, its historic Minster and its remarkable 18th century Piece Hall, a magnificent Grade I Listed cloth market resembling an Italian piazza, due to re-open in 2017 following a major renovation. The UNESCO World Heritage Site of Saltaire, the spa towns of Ilkley and Harrogate, the award-winning Hepworth Museum and Yorkshire Sculpture Park and the awe-inspiring Yorkshire Dales are all within easy driving distance. There are also direct train links from Hebden Bridge to York, Leeds and Manchester. The railway station, with its original finger post signage, is worth a visit in its own right. 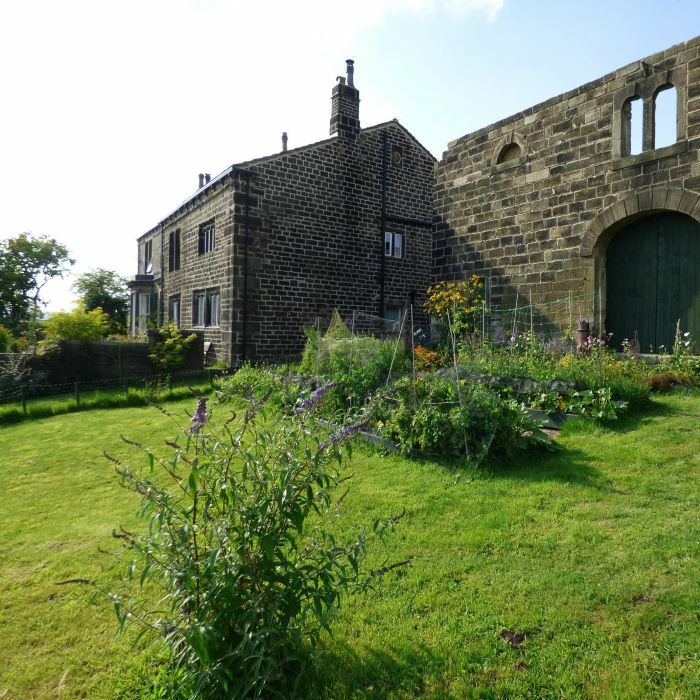 Newly-restored in 2014, Elmet Farmhouse is an 18th century building with 21st century facilities and excellent green credentials. It’s extremely well-insulated and has double-glazed windows and a super-efficient boiler, so you’ll never be cold, even in the depths of winter. In the summer you can dine al fresco in the company of rabbits, pheasants and deer, watch the hay-making in our meadows or walk down to the newly-planted woodland on the lower slopes. Due to the historic nature of this Grade II Listed Building, we regret that the building is not suitable for visitors with mobility problems. Children and toddlers welcome. Cot, high chair, baby bath, potty and stair gate available. 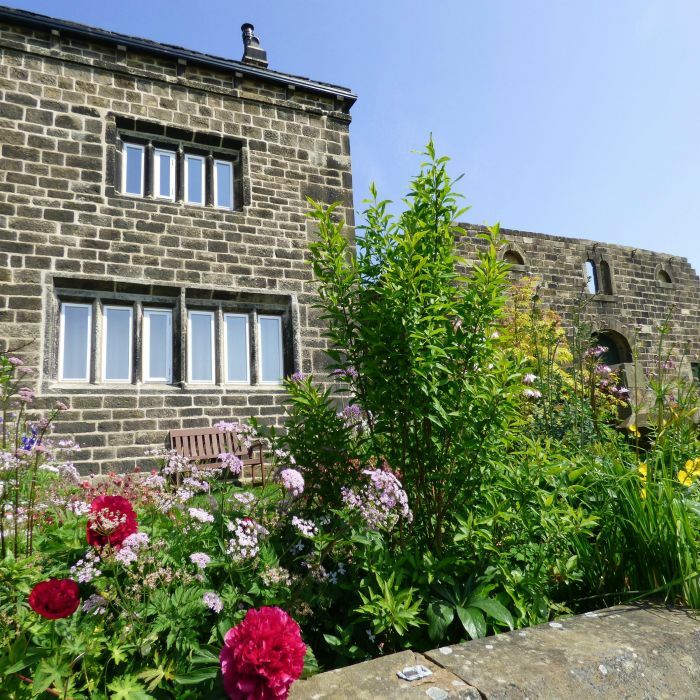 Elmet Farmhouse is located in the village of Pecket Well, two miles from Hebden Bridge. It is readily accessible by public transport, with regular buses to Hebden Bridge and Haworth from the top of the drive. Full directions will be given at the time of booking.